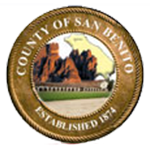 On this page the San Benito County Elections Department provides links to all maps related to Elections. You can view our gallery, or select from the complete selection that follows. These maps are used in determining who votes for what contests, as well as whether or not a candidate is eligible for any given office. A Map showing all base precincts for the County. Base precincts are created by layering every voting jurisdiction on the map, then every unique intersection becomes a base precinct. Every time there is an election, the base precincts are merged if possible to create voting precincts. If 2 precincts are adjacent and will have the same ballot (contests), they may be merged. Traditionally we can merge the 108 base precincts into approximately 60 Voting Precincts. These Voting Precincts change with each election, and will be provided once candidate filings have completed and the department knows which contests will be on the ballot.